The 1968 democratic political convention was held in Chicago in a year filled with violence, political turmoil, and civil unrest. Lyndon Johnson decided not to run for president because of the controversy over the Vietnam for war. His Vice President Hubert Humphrey won the nomination beating anti-war spokesperson Eugene McCarthy. In the Republican Convention in Miami, Florida, former Vice President Richard Nixon beat Ronald Reagan for the nomination and went on to win the election. 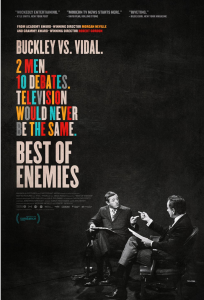 One of the memorable aspects of this political year was a series of 10 debates between William F. Buckley Jr., conservative spokesperson and Gore Vidal, liberal spokesperson that was aired on the ABC television network during the political convention. 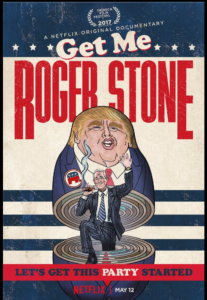 It is these debates that are the subject of this thought provoking and revealing documentary film produced and directed by Morgan Neville and Robert Gordon. It is ironic that when ABC made the decision to inject the debates into its TV coverage of the conventions, they were number three in the ratings and were a poor number three at that. Yet, their use of these debates propelled them to the highest ratings over the other two networks who were doing gavel-to-gavel convention coverage. This is probably the beginning of the type of news coverage which we see today which is filled with pundits discussing and debating the news on many different networks. In 1968, there was no more well known spokesperson of the conservative points of view than William F. Buckley Jr. For many years he had a popular television program “Firing Line” where he took on people with opposing views and demonstrated his brilliance. He also was a columnist for well-known conservative magazines. Gore Vidal was an equally brilliant, articulate liberal spokesperson who not only spoke “the talk” but wrote many very successful books about American history and also penned successful novels including one well-known fiction work titled Myra Breckinridge. As we see in this 87-minute documentary film edited by Eileen Meyer and Aaron Wickenden, these 10 debates were very fascinating to watch and were watched more than for the discussion about the conflicts of ideological viewpoints. Certainly, Buckley expressed his view that people should be more self-sufficient and shouldn’t depend on government handouts. Vidal made the point that the government has responsibility to support people in need. However, the essence of this historic debate was how these brilliant men try to take apart not only each other’s arguments but each other. We didn’t see all the raw footage of the debate, but in a post-film discussion with Mr. Neville, one, of the director producers, he shared his analysis which counted that more than three quarters of the time, these men were trying to dissect each other, rather than carrying on a rational discussion of the complicated issues of their time. One can’t help reflect how this film reminds us that this may be how we are approaching our modern day political debates as the right and left trash each other. 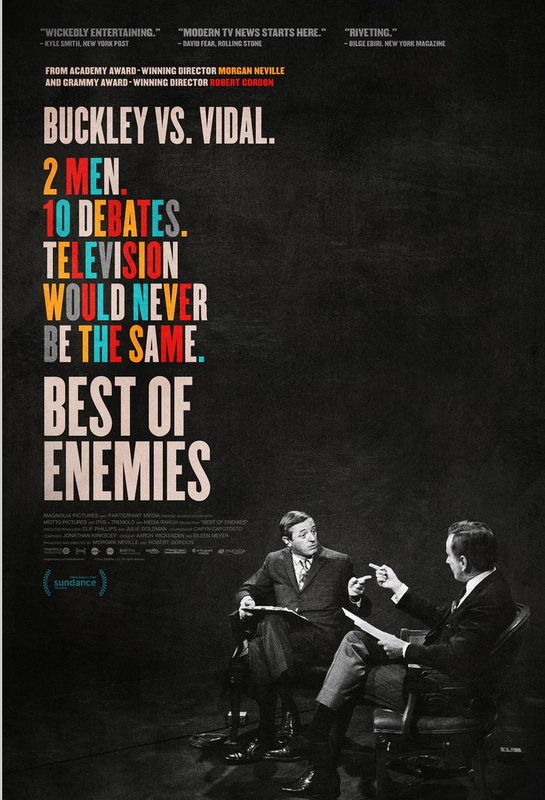 It of course makes great television and there have been very few more exciting moments in live widely watched television than the culminating mutual attacks on each other that occurred in the Buckley-Vidal debates. There needs to be no “spoiler alert” here since the following moments which we will describe are well-explored in this documentary. Mr. Buckley compared the anti-war protesters (who were probably demonstrating at that very moment outside the convention hall) “to be bullying fascists.” Vidal then says, “The only pro or crypto-Nazi I can think of is yourself.” Buckley then uncharacteristically loses his temper and says, “Listen you queer, stop calling me a crypto-Nazi or I’ll sock you in your goddamn face and you’ll stay plastered.” (The fact that Vidal turned out to be “gay” was completely irrelevant especially since he was not out at that time and Buckley had used a very disparaging word in reference to him.) Another irony is that at the very moment that Buckley threatened to punch Vidal, the police outside were probably punching the protesters. In any case this documentary film gives an inside view of the meaning of this debate using commentary of people who knew the two men at that time and later in life. We learned that Vidal’s feelings and comments about Buckley, even at the time of Buckley’s death were as angry and as bitter as ever. Similarly, Buckley’s people who knew him suggest that Buckley never got over his feelings about Vidal. The problem with any movie that gets a lot of hype because it is about two giants in in their respective spheres of influence, Lincoln and Spielberg, is that you expect to be blown away, enthralled , introduced to new ideas that you never thought about before etc. etc. 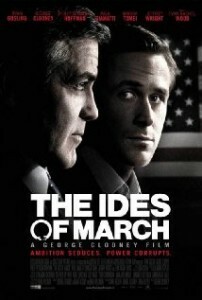 What we have here is a good movie, a really good movie that provides insight into one of the greatest American Presidents, as well as a lesson in political history that brought about one of the most important pieces of our constitutional history, the 13th Amendment that prohibits slavery. However, in order to appreciate this movie, you have to do more than sit back and enjoy, you really have to concentrate and think about what is going on before you. You are skillfully helped in this task by the screenplay by Tony Kushner based in part on Doris Kearns Goodwin’s book “ Team of Rivals”, superb acting especially by Daniel Day-Lewis as Lincoln , Tommy Lee Jones as Thaddeus Stevens, Sally Field as Mary Todd Lincoln and, of course, the brilliant directing of Steven Spielberg. The portrayal of Lincoln is distinctive and consistent. We have no way of knowing how on the mark it was, but his thoughtful, intense caring persona yet with a sense of humor makes him appear to be a person we would like to think that he was. He also was shown to be struggling with a parental dilemma with which we can easily identify. Imagine if you had a son that wanted to enlist in the military where young soldiers were dying by the thousands. Would you do everything you could to stop him ( and what if you could, since you were the Commander in Chief?). Or, if you understood how he could never forgive himself if he didn’t enlist would you allow him to choose his destiny (despite the protests of your wife). This was just a small side theme of this movie. Thaddeus Stevens, one of the Republican leaders in the House of Representatives, appears to be a fascinating person, as dedicated as Lincoln to their common cause but quite feisty with a sharp tongue that he wasn’t afraid to use. One of us was moved to read a little bit more about this man who was shown in the film as having a secret that was actually true to life.